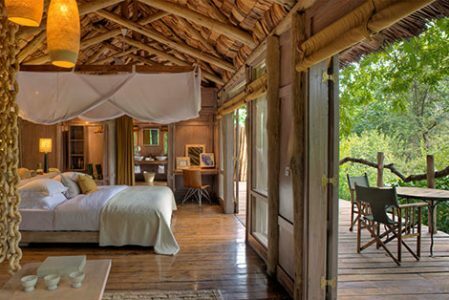 Cradled in the boughs of an ancient mahogany forest, Lake Manyara Tree Lodge blends into the natural beauty of its breathtaking surroundings. Experience an exclusive, interpretive and completely unique safari in the remote, game-rich wilderness of Lake Manyara National Park; feast on delicious meals in the theatrical boma or open-air dining decks; and marvel at the dramatic views afforded by your romantic perch. Those who want a Tanzania safari experience that allows them to not just get away from it all – but above it. Most memorable experience? Seeing the tree-climbing lions in action is truly unforgettable! Lake Manyara Lodge offers one of the most unique safari experiences in Tanzania, and maybe all of Africa. 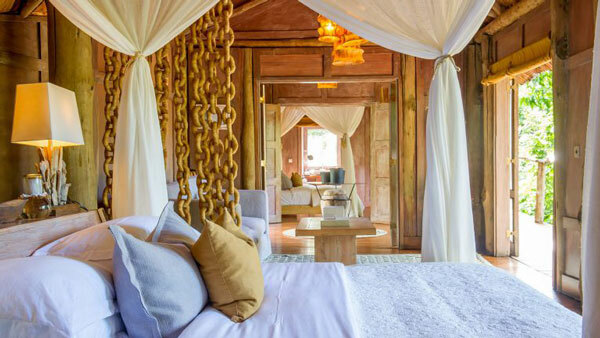 Waking up each day perched above the forest feels like an adventure straight out of Swiss Family Robinson – only MUCH more luxurious. Regional Air Services flies into the Lake Manyara airstrip from Arusha Airport, and Coastal Air flies in from Dar Es Salaam. From the airstrip, the lodge is a scenic two-and-a-half-hour drive through Lake Manyara National Park. in the heart of a mahogany forest. Each suite boasts outdoor showers and in-suite Wifi. 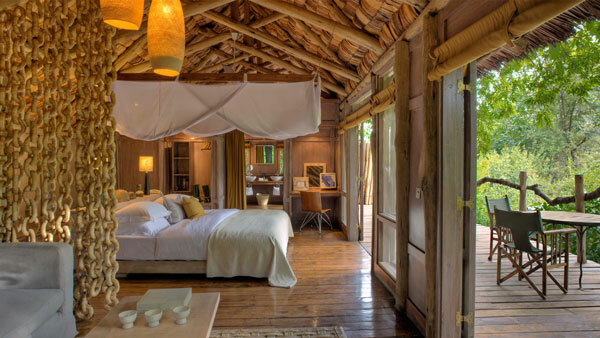 Crafted from local timber and makuti palm fronds, each suite boasts a sophisticated blend of intimacy and romance, offering privacy and exclusivity among the ancient mahogany trees. Each suite features a generous deck, large windows, contemporary furnishings, overhead fans and billowing mosquito nets. Bathrooms have freestanding baths with a forest view and an outdoor shower. With two rooms conveniently interlinked via a small internal entrance area, each with its own ensuite bathroom, the loan Family Suite can accommodate two adults and up to three children. Main bathroom includes a freestanding bath and an outdoor shower; second bathroom features one indoor shower. Families also have access to a private safari vehicle (when available) and a pool.